This will be my final post of 2012 (not much of a surprise, right?). I've posted a few odds and ends I wanted to get in before the onslaught of 2013 news hits in a few days. Have a safe and Happy New Year! 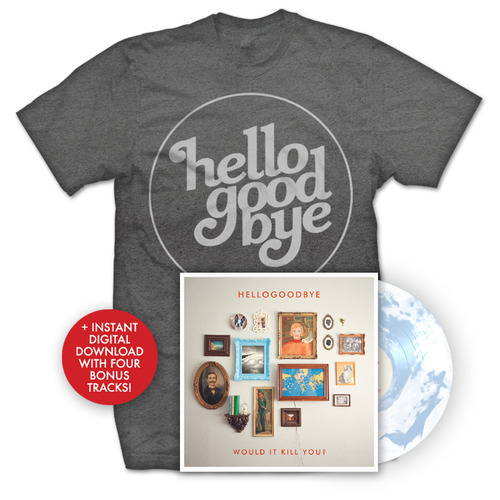 Hellogoodbye’s deluxe edition of acclaimed album Would It Kill You? is now available on iTunes via Old Friends Records. The digital re-issue includes three live tracks from Daytrotter’s Barnstormer Tour and the previously unreleased B-Side “Not Ever Coming Home.” The album is also now available for pre-order as a marbled blue and white vinyl and T-shirt bundle on Old Friends’ webstore. I know many of you will be at the NAMM show next month, and I thought I would share this news release which is of interest for musicians and music lovers even if they won't be coming to Anaheim for the music trade show (January 24-27, 2012). A blast from the past will ring out at the 2013 NAMM Show as manufacturers responding to consumer demand introduce new products with a vintage look and sound. Retailers, having heard the growing demand for vintage-inspired musical instruments and equipment will be looking for new products that meet the demand of customers clamoring for unique pieces. The NAMM Show returns to Anaheim, CA from January 24-27, 2013. Coutretsis uses the term “reliced” to describe instruments and equipment that have been manually distressed, as one would handle a pair of jeans for a worn-in, loved look. Boutique instruments sometimes incorporate such design elements, while others are constructed to showcase the luthier’s artistry. Retro items made in the United States or by hand are also in demand, as the call for unique and distinguished pieces increases. “The major brands and as well as our smaller, boutique craftsmen are boosting this trend with some truly unique instruments, many of which will be unveiled or highlighted at this year's NAMM Show," said Joe Lamond, president and CEO of NAMM. "Artists around the globe are constantly looking for music and sound products that help them express their creativity and NAMM members will continue to look forward as well as to legacy designs to serve them." Nostalgia for what Neil Young called the “old, folky days” seems to be the inspiration for the retro collections soon to be offered by Bedell Guitars. Designed after the guitars of the early ‘60s, the Coffeehouse series and the 1964 series feature all solid woods, dovetail neck-joints, classic comfortable neck profiles and other details designed to recall the look and sounds of acoustic guitars produced 50 years ago. The company plans to unveil the series at the NAMM Show 2013. The trend is particularly evident among electric guitars, basses and amplifiers, with many major brands releasing or adding to nostalgia-inspired collections. Retro shapes, colors and components that help re-create the sound of a vintage piece are hallmarks of these instruments. Some of these new additions will be seen for the first time at NAMM 2013. Fender Guitars, the roots of which reach back to the very era many are resurrecting, plans to debut guitar and bass additions to its already-popular Pawnshop series. Also at the show, the Excelsior, Fender’s distinctive tube-combo amplifier will be re-issued in a limited edition. Gibson honors one of the godfathers of guitar with its collection of tribute Les Paul guitars, made in the style of the ‘50s, ‘60s, ‘70s and beyond. The series, which is dubbed “The Year of Les Paul” collection, will be introduced at NAMM Show 2013. C.F. Martin & Co.’s four-piece Retro Series that debuted at NAMM in Nashville will be featured prominently by the brand at the show. The Retro Series is based on C.F. Martin & Co.’s guitars from the 1930s and ‘40s, melding traditional models with state-of-the-art technology. The retro trend is in full swing and will be on vibrant display for retailers and buyers to see, hear and demo at NAMM Show 2013. Registration is now open for qualified members of the music instrument, product and pro-light and sound industries. Exhibit space is still available for the 2013 event. Learn more about the 2013 NAMM Show at http://www.namm.org/thenammshow/2013. The National Association of Music Merchants (NAMM) is the not-for-profit association with a mission to strengthen the $17 billion music products industry and promote the pleasures and benefits of making music. NAMM's activities and programs are designed to promote music making to people of all ages. NAMM is comprised of approximately 9,000 Member companies located in more than 87 countries. For more information about NAMM or the proven benefits of making music, interested parties can visit www.namm.org, call 800-767-NAMM (6266) or follow the organization on Facebook, Twitter and YouTube. Coachella or Not, Hear This! There have been countless rumors racing around the internet about some of the artists that are likely to play at Coachella 2013 with Blur, Grizzly Bear, Alabama Shakes and Beach House definitely a big part of that online buzz-fest. But no matter whether any or all four wind up in Indio this April their latest high profile releases are definitely worth picking up. All are available now. Tell me more: Few bands have returned from an extended hiatus with the kind of fiery excitement that greeted Blur when they returned from a six-year break to reconquer in 2009. 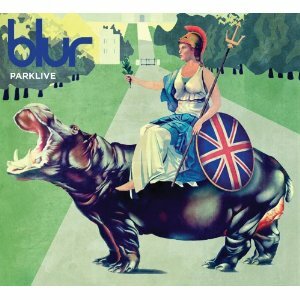 The latest leap in Blur's revival is gloriously chronicled on the five-disc Parklive, featuring a fantastic concert film that captured their turn at London's Hyde Park in connection with the closing of the Olympic Games in August 2012. Four other CDs featuring live performances captured in summer 2012, including a couple of new songs ("Under the Westway," "The Puritan") that showcase a band still at the top of its game. Housed in a fantastic hardbound book loaded with color photos, Parklive is worth its price. Note: a single-disc DVD set and two-disc CD featuring the aforementioned Hyde Park show are each available. Information: www.blur.co.uk or www.liveherenow.com. 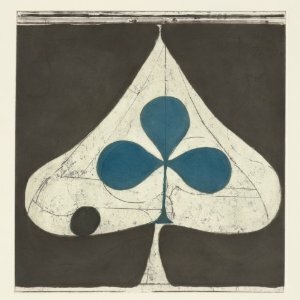 Tell me more: Those who thought Grizzly Bear's fantastic 2009 album Veckatimest would be the Brooklyn, New York outfit's crowning masterwork can be forgiven because that genre-defying album was so strong. But praise for the quartet's more recent offering Shields is equally widespread with the 10-track disc rightfully landing on many rock critics "best of 2012" lists. "Shields" boasts retro-meets-experimentalism via gems such as "Yet Again," "Gun-Shy" and "Sleeping Ute" that challenge and delight with each listen. The mix of traditional acoustic sounds, emotive vocals and electronic instruments is handled with the skill of noted masters such as Radiohead and Moby. Information: www.grizzly-bear.net. Tell me more: Fans of classic soul, R&B, blues and roots rock will all find something to love on the debut album from Alabama Shakes. One of the biggest breakout acts of 2012, the Athens, Alabama-spawned quartet has been able to mine the past and blend its collective influences into something modern and relevant. 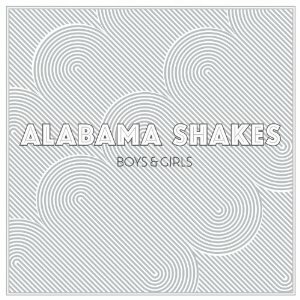 From the rollicking old time rocker "Heavy Chevy" to the glorious soul ballad "I Found You" and spirited blues folk rock of "On Your Way," Alabama Shakes' debut Boys & Girls is a sensational disc. Information: www.AlabamaShakes.com. 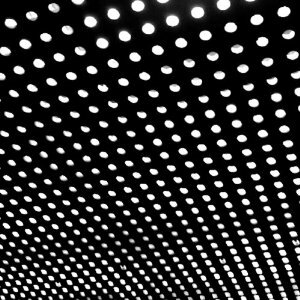 Tell me more: An intimate and beautiful recording awash with a lush quality that has been dubbed "dream pop," Baltimore, Maryland-based duo Beach House's 2012 offering "Bloom" recalls an artful cross between Mazzy Star and Cocteau Twins in that the recording is as much about the sound itself as the individual songs. To close your eyes and play this 10-track album with headphones is to be immersed in an atmosphere awash in pop perfection and sonic ambiance. Information:www.beachhousebaltimore.com. 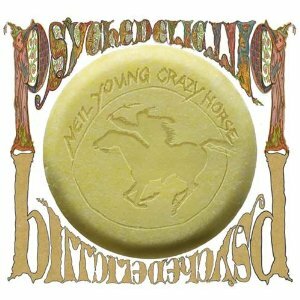 Neil Young & Crazy Horse returned big time in 2012, releasing the aptly-titled reworking of American folk songs Americana in June. But it was the subsequent October release of the 85-minute, two-disc Psychedelic Pill that resounded with the ambitious lyrical depth and sonic thunder equaling the troupe’s inspired classics. There are a number of great songs on Psychedelic Pill, with "Ramada Inn" and "Walk Like a Giant" among the best. 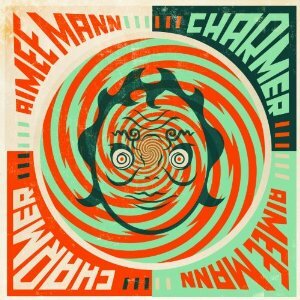 On Charmer, singer-songwriter Aimee Mann offers up her literate observations via melodic and haunting songs that go down like vintage power-pop classics while boasting rich melodious colors and lyrical insights that artfully reveal themselves a little bit more with each subsequent listen. For those who loved Mann's Bachelor No. 2 (2000) or Lost in Space (2002) albums, Charmer is every bit their equal. 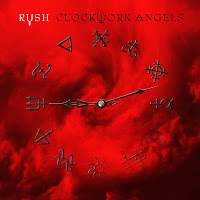 While many classic rock fans have to be content with their heroes touring courtesy of nostalgia alone, Geddy Lee, Alex Lifeson and Neil Peart have continued to challenge themselves and their listeners with sharp and searing prog rock. Clockwork Angels’ detailed concept about a young man’s search to follow his dreams is supported by one of the trio’s most accessible and compelling collections since 2112. This year has proved to be a year of remarkable and noteworthy comebacks, with champions such as Neil Young, Aimee Mann and Rush joined by the duo Dead Can Dance, whose Anastasis was the first full-length studio effort since 1996. Brendan Perry and Lisa Gerrard continued their bold odyssey without missing a beat on Anastasis, blending goth rock, Celtic and world folk with an expert and artistic touch. On his full-length debut, the Austin-based singer-songwriter-guitar virtuoso Gary Clark Jr. fuses the energetic guitar-anchored rock of Jimi Hendrix with the soulful singing of Al Green. The dozen far-flung originals explore every conceivable corner of the music universe. Blak and Blu is a challenging and rewarding disc to be sure. 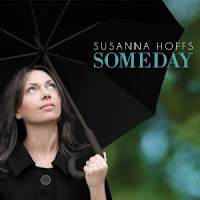 Susanna Hoffs’ latest album may mine the 1960s territory of Petula Clark and Jackie DeShannon but is at its heart a personal recording that is both timeless and joyful. The singer-songwriter joined forces with acclaimed producer Mitchell Froom (Crowded House, Ron Sexsmith) to craft something far more compelling than an experiment in retro music making. Who knew a couple of young sisters from Sweden would tap into the burgeoning Americana music movement like no other in 2012? 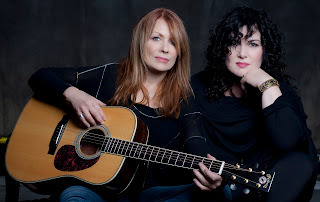 Johanna and Klara Söderberg sing in angelic harmonies while conjuring up the ghosts of Gram Parsons, June Carter and Johnny Cash amidst beautiful songs that fully reawaken a spirit mostly missing from modern country music. Blues’ most innovative artist issued another stunning effort with Contraband, where his hypnotic baritone and so-called “trance blues” style fused the feel of early Robert Johnson recordings with African music. 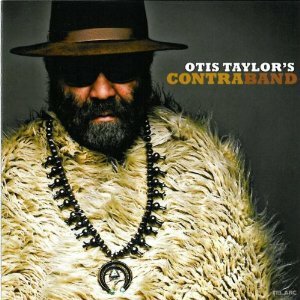 Few living artists bring the weight of history and power of music together like Taylor does in “Romans Had Their Way” and “Contraband Blues. Another epic comeback. Ignition is Shoes’ first album since 1994’s Propeller, but is a sonic blast from start to finish. Power-pop has sadly been relegated to the commercial sidelines, but listening to Ignition is to rediscover the joys of undeniable melodies and rousing vocal harmonies powered by ringing guitars. Yet another striking return, Dwight Yoakam’s 3 Pears marks the honky tonk icon’s first new studio disc in seven years. Whether singing ballads (“It’s Never Alright”), or uptempo stuff (“Dim Lights, Thick Smoke”), there is plenty to love on this disc. There are lots of reasons to fire up the old LCD, LED or Plasma this long holiday weekend! 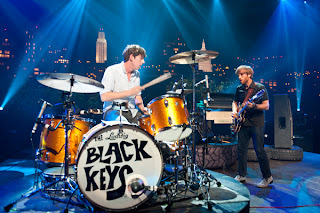 The Black Keys are featured in an encore episode of Austin City Limits (ACL) airing Saturday, December 29, 2012 on PBS. The Ohio blues-rock duo are enjoying a victory lap in their road-tested career, recently scoring five 2013 Grammy nominations, including Album of the Year and Best Rock Album for their platinum-selling El Camino, capping off a stellar year that included headlining music's biggest festivals and playing to sold-out arenas worldwide. The episode, which originally aired in October 2010, is a prescient indicator of things to come as the band bring raw energy and steel-belt grit to tracks from their 2010 breakout album Brothers in their ACL debut. The Black Keys have spent the better part of a decade building a following through relentless touring and word of mouth to become one of the biggest rock bands of their generation. The duo of guitarist/vocalist Dan Auerbach and drummer Patrick Carney has come a long way from their 2002 debut, attracting a huge fan base for their blistering live shows. In their ACL debut in Season 36, the pair reach back to their earlier material to kick things off, and proceed to tear through soulful tracks from Brothers, the album that earned them three Grammy Awards in 2011 and made them a favorite with concert-goers. With their charged blues-rock and unapologetic guitar riffs, The Black Keys command the ACL stage in a spectacle of raw-rock grandeur. The episode also features Sonic Youth, a band that needs no introduction, showcasing the avant-garde rock of their 2010 album The Eternal. Austin City Limits (ACL) is a television series on PBS that records and broadcasts original musical performances from exciting new talent and legendary artists of all genres. Austin City Limits is the longest-running music series in American television history and remains the only TV series to ever be awarded the National Medal of Arts. In 2012, ACL received a rare institutional Peabody Award for excellence and outstanding achievement. The historic KLRU Studio 6A, home to 36 years of ACL concerts, has been designated an official Rock & Roll Hall of Fame Landmark. In 2011, ACL moved to the new venue ACL Live at The Moody Theater in downtown Austin. ACL is produced by KLRU-TV and funding is provided in part by AMD, Budweiser, the Austin Convention Center Department and Dell. Additional funding is provided by the Friends of Austin City Limits. Learn more about Austin City Limits, programming and history at www.acltv.com. 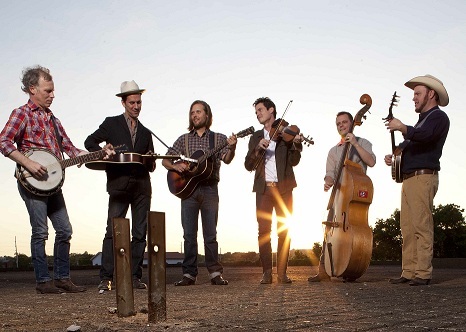 Old Crow Medicine Show (OCMS) reveal more details for the broadcast of their sold-out show on December 31, 2012 at the Ryman Auditorium. The show will broadcasted live by Sirius XM Outlaw Country (Channel 60) as well as WSM 650 AM Radio, home of Nashville's Grand Ole Opry. Listeners who can't tune in to the band's performance via Sirius XM can hear the performance broadcast live on WSM 650 AM radio or streamed at wsmonline.com. WSM 650 AM is the most famed country music station in the world. Each day, the station shares country, bluegrass, and Americana as well as the excitement of Music City with listeners around the world. WSM 650 AM will go live with opener Pokey LaFarge's set at 10:00 PM ET/9:00 PM CT and Old Crow's set at 11:30 PM ET/10:30 PM CT. Sirius XM will only broadcast Old Crow's set at 11:30 PM ET/10:30 CT.
OCMS have spent the latter half of 2012 touring in support of their fourth full-length studio album, Carry Me Back, which was released on July 17. 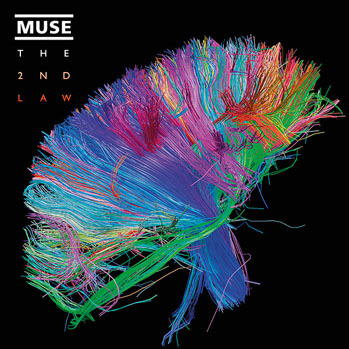 The album achieved the highest chart position in the band's career. The album has been the #1 Bluegrass Album in Billboard Magazine for 20 weeks. Old Crow recently received a Grammy nomination in the Long Form Video category for the film Big Easy Express -- a documentary about last year's Railroad Revival Tour with OCMS, Mumford & Sons, and Edward Sharpe & The Magnetic Zeros. OCMS (Ketch Secor, Critter Fuqua, Kevin Hayes, Morgan Jahnig, Gill Landry and Chance McCoy) spend most of their time on the road, and have made a name for themselves as energetic performers with an unbridled spirit. 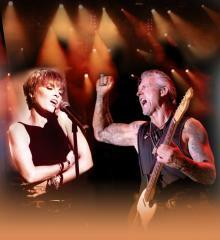 Rock stars Pat Benatar and Neil Giraldo will ring in 2013 during the “All American New Year” special presented by FOX News Channel on December 31. The New Year’s Eve program will be hosted by Bill Hemmer and Megyn Kelly live from Times Square in New York. It’s set to air from 11:00 p.m.-12:30 a.m. (ET). In addition to the exclusive performance by Grammy-winning Benatar and Giraldo, the stellar lineup will include classical vocalist Sarah Brightman, and the cast of the Tony Award-winning Broadway musical Million Dollar Quartet. FOX News Channel’s Kimberly Guilfoyle, Greg Gutfeld, Anna Kooiman and Maria Molina will also join the rockin’ year-end celebration. Pat Benatar and Neil Giraldo fans can get in on the action during the program by texting holiday messages which will appear on a special screen ticker throughout the broadcast. Texting prompts will be provided during the show. For show updates and more information, please visit: www.benatargiraldo. Celebrate the New Year in style with this one-night-only concert event experience when Mr. Worldwide takes the stage and is 100% live with AXS TV’s #LiveLIVE national television audience. “PITBULL presents ‘WHAT HAPPENS IN MIAMI, NEVER HAPPENED’ NEW YEARS EVE” with international music sensation Pitbull will broadcast LIVE on Monday, December 31 from the American Airlines Arena in Miami, Florida exclusively on AXS TV. Stylishly armed with rapid-fire, Latin-infused rhythms, infectious rhymes and global sound, Pitbull will transport his raw energy on stage to the television audience at home to hold court with the only LIVE New Year’s Eve Celebration broadcast of a full concert event. "What we’re going to experience on New Year’s Eve is very simple…a lot of fun…because what happens in Vegas stays in Vegas, but what happens in Miami never happened,” says Pitbull. "Thank you AXS TV for bringing my hometown Miami party live into homes across the country, DALE!!!" Pitbull has risen to become a global superstar as both a recording artist and live performer. The Miami-native recently added to a long-and-growing list of hits with his first #1, “Give Me Everything,” while his world tour sold out concerts around the globe. Pitbull released his new single "Don't Stop The Party," which has become a worldwide hit also teamed up with superstar Christina Aguilera for “Feel This Moment" and earlier in the year released smash hit "Back In Time" from the action adventure comedy Men In Black 3 which are all included on his new album Global Warming. Performing New Year’s Eve in Miami following makes the Pearl the place to be and watch on December 31. Back in early summer, I had the chance to interview Cy Curnin of The Fixx leading up to the band's July 18, 2012 performance at The Coach House. Well now, thankfully, the band will be returning to perform a show tomorrow night, Saturday, Dec. 29. The concert begins at 8 p.m. For more details, call the venue at 949-496-8930 or visit the venue's Web site at http://www.thecoachhouse.com/. Here is a reposting of my original article that ran on The Orange County Register site for those interested in catching the band when they perform in San Juan Capistrano tomorrow. 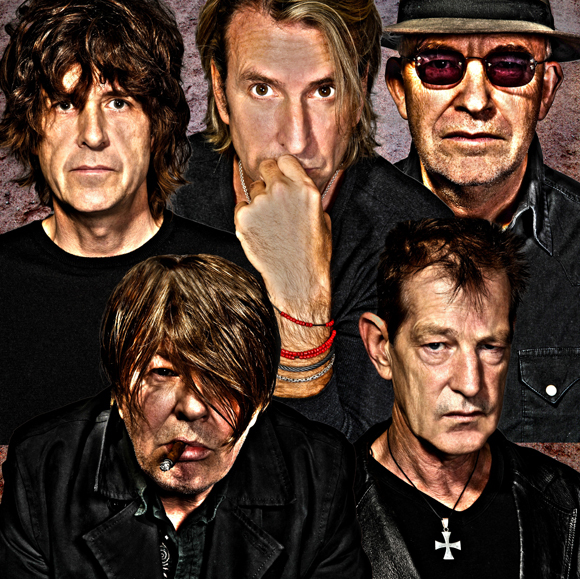 The Fixx returns to The Coach House on Dec. 29, 2012. With the world mired in an ongoing financial crisis, it’s little surprise that the Fixx, ’80s-spawned rockers who have always featured material revolving around political topics, would return in 2012 fueled by such matters, leading the quintet to create one of its best-ever albums, Beautiful Friction. Set for release next week by Kirtland Records, the disc is the Fixx’ first studio album since 2003’s Want That Life. The British band launches a U.S. tour in support of it with a headlining concert Wednesday, July 18, at the Coach House in San Juan Capistrano, bringing the group back to O.C. after a memorable performance at Jack’s 5th Show at Irvine’s Verizon Wireless Amphitheater in September 2010. AS I NOTED ABOVE, THE FIXX RETURNS TO THE COACH HOUSE ON SATURDAY, DEC. 29, 2012. Anyone who listens to those staples of the New Wave era – or any of their other singles from back in the day, like “Saved by Zero,” “Are We Ourselves,” “One Thing Leads to Another” and “Deeper and Deeper” – knows that the members of the Fixx have worn their politics on their collective sleeve from the start. 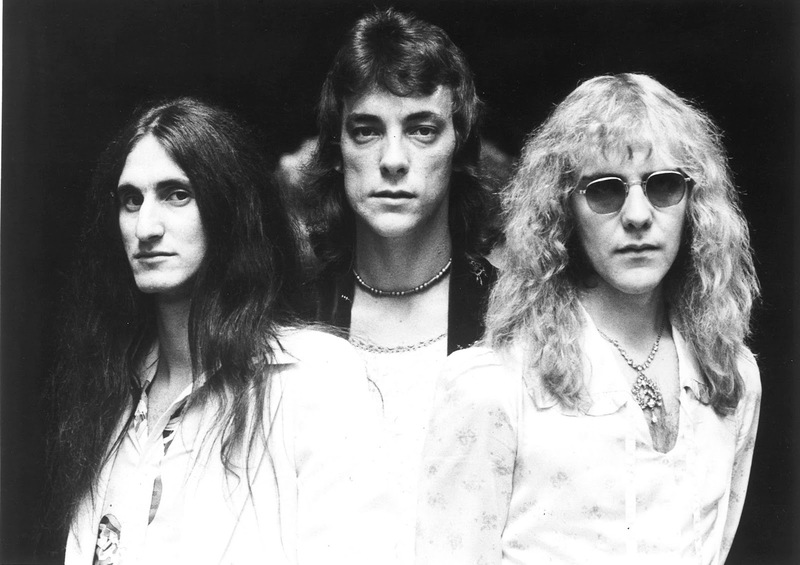 Indeed, the band’s “How Much Is Enough?” (which peaked at No. 35 on Billboard’s Hot 100 back in late 1991) could well be a fight song for the Occupy Wall Street movement decades later. Curnin is proud his material has held up, although he wishes more of the problems he’s addressed over the years would have been solved by now. “Each artist or each writer has their own slant on things. Mine is that social backdrop of the mechanics of how we surrender our own dream-time to be part of a system that is managed by people that who aren’t as godlike as they should be,” he said by phone from London, where the band was preparing for this coming tour. Curnin says everyone in the Fixx is grateful to still be playing together after so many years. “I’ll tell you what: We’re actually enjoying it more than ever. Because when we turn around on stage and we catch each other’s eyes we know we’re still (expletive) doing it! And still getting the same buzz. It’s almost like wine. Wine improves in the bottle and it gets better with age, and I think music does, too. Curnin acknowledges that much of the power of the Fixx lies in its relationship with fans as well as each other. This Holiday Season, Lee Diamond (of the New York based rock band Shock Radar) has teamed up with other like minded "Nez-ficionados" to offer a gift to the world; a FREE musical tribute compilation to the songs of his (and maybe your) favorite Monkee, Michael Nesmith! The compilation can be previewed here: http://thenez.bandcamp.com It's also up on several Monkees fan sites as well as at http://www.facebook.com/nesmithfanpage and will be available for FREE download on Christmas (Dec. 25) 2012! Lee recently spoke to Rick Eberle from PopCore Entertainment about how (and why) he spawned the idea for the album, which includes tracks from his band Shock Radar (Roll with the Flow) and from Lee himself as a solo performer (Some of Shelly's Blues - LIVE), as well as Herb Stalk (Papa Gene's Blues), Calotype (Don't Call On Me), Casella (Sunny Girlfriend), Jo Elless (Grand Ennui), The Grip (Circle Sky - LIVE), Blake Ian (Different Drum), Jake Incao (Sweet Young Thing), Ringo Dolenz (The Crippled Lion), So L'il (Daily Nightly), Paul Bradford (Juliana), Amy Gaetano (Nine Times Blue), and of course the obligatory all star Nesmith Tribute Band (Listen To The Band). RE - Why Mike Nesmith? LD: Mike Nesmith is an incredibly prolific and accomplished singer, songwriter, inventor, entrepreneur best known for inventing MTV, his inheritance of millions from his mother's invention of liquid paper, a movie producer of cult classics such as Repo Man, and of course, The Monkees. RE - Why the motivation for a tribute album? LD: I feel he is THE most underrated songwriter. He is a lyrical, storytelling wordsmith cloaked under the veil of a bubblegum TV pop star (The Monkees). But his accomplishments are greater than that. He has a whole catalogue of solo albums as profound and poetic as anything Bob Dylan or Neil Young has done. This is a tribute focused on songs that he wrote, not just Monkees songs he sang. We got more submissions from his solo work than Monkees, which he'd probably find flattering. I also wanted to hear different artists' interpretations of his songs, like Calotype made an electro version of "Don't Call On Me" and So L’il performed a completely ambient take on “Daily Nightly”. No one's done that before. RE - Why/How were the rest of the artists on the compilation chosen to participate? LD: I posted all over the internet for submissions from up and coming musicians/bands to be a part of it, if they loved his music, specifically the songs he wrote. I tried to choose a broad variety of genres. I didn't want the songs to sound like his versions, but their own renditions. Blake Ian played a ukelele version of Nesmith's greatest hit- "Different Drum". Jo Elless made a magnificent cover of "Grand Ennui" with a horn section. This is a compilation Michael Nesmith would find interesting. RE: - Where can they purchase copies - is it just streaming? LD: It’ll be available for download free on Christmas. RE - Did you produce this record? What have you done in the past in terms of production? LD: I put the whole compilation together. I chose the artists. We got an overload of submissions, so there will be a second volume covering different songs under various genres. I'm a musician, have my own band that I produce everything in called- Shock Radar. I also play drums and guitar in other projects. 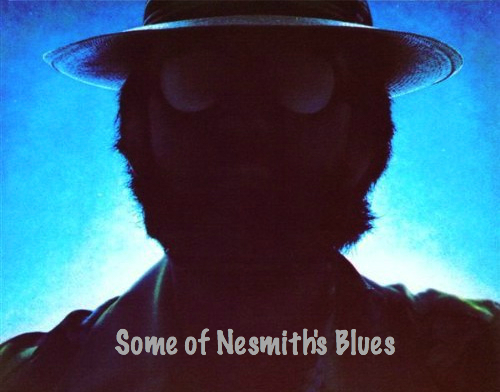 RE - What should people know about Nesmith that they probably don’t? LD: His solo work is deeply profound. He deserves to be appreciated the way Gram Parsons, Johnny Cash, or Bob Dylan do. His body of work is enormous and still undiscovered by many. He's always been the man behind great movements in music history and culture in general to the point of a 'Renaissance Man'. But he's behind the scenes fame-wise. Born and raised in NY where he worked at several record stores till attending Boston's Berklee College of Music on scholarship, and further studying art and journalism at New School University, Lee J Diamond has climbed his way to the top of the city's music scene, simply doing what he does best, mixing and playing all styles from around the world. The eccentric artistic styling of his latest band Shock Radar’s ‘Post-Pop’ songs is fresh and unique. The GRAMMY Foundation® has launched its 15th Annual Entertainment Law Initiative® Writing Competition, co-sponsored by the American Bar Association. The ELI Essay Competition invites law students to write a 3,000-word paper on a compelling legal topic facing the music industry today. To encourage applications, the GRAMMY Foundation hosts ELI Essay Competition workshops at prominent law schools around the country with the goal of helping students with their essays. Once again, ELI is partnering with Box.com to allow students to upload their submissions directly via the Internet. Box.com's mission is to provide the best tools to enable people around the world to share and exchange information and content. A substantial cash scholarship of $5,000 will be awarded to the author of the winning paper and $1,500 will be awarded to each of four runners-up. Additionally, each winner will receive airfare, hotel accommodations and a ticket to the 55th Annual GRAMMY Awards®, which will be held at STAPLES Center in Los Angeles on Sunday, Feb. 10, 2013, and broadcast live at 8 p.m. ET/PT on the CBS Television Network. In addition, the winners receive invitations to other GRAMMY® Week activities, including the prestigious annual ELI Luncheon on Feb. 8. The winning student authors will present their essays at the luncheon. Past luncheon keynote speakers include Edgar Bronfman Jr., former chairman and CEO of Warner Music Group; Clive Davis, chief creative officer of BMG North America; Daniel Ek, co-founder and CEO of Spotify; Timothy J. Leiweke, president and CEO of AEG; and will.i.am, GRAMMY®-winning artist/producer and GRAMMY Foundation Board member among others. The GRAMMY Foundation was established in 1989 to cultivate the understanding, appreciation and advancement of the contribution of recorded music to American culture — from the artistic and technical legends of the past to the still unimagined musical breakthroughs of future generations of music professionals. The Foundation accomplishes this mission through programs and activities that engage the music industry and cultural community as well as the general public. The Foundation works in partnership year-round with its founder, The Recording Academy®, to bring national attention to important issues such as the value and impact of music and arts education and the urgency of preserving our rich cultural heritage. For more information, please visit www.grammyintheschools.com. For breaking news and exclusive content, please like "GRAMMY in the Schools" on Facebook at www.facebook.com/grammyintheschools and follow @GRAMMYFdn on Twitter at www.twitter.com/GRAMMYFdn. We've just posted the final episode of our "4 Weeks of Christmas" special. TJR celebrates a fantastic recording from The Bird and the Bee while I highlight a great Jars of Clay track. Merry Christmas everybody! Here is a roundup of some of the most noteworthy items to land in my inbox this week. 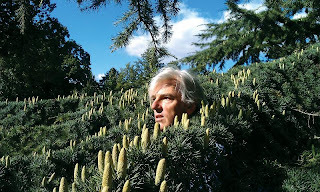 Yep Roc Records is excited to announce the March 5, 2013 release of the new Robyn Hitchcock album, Love From London. The record was produced and engineered by Paul Noble, and features Noble on bass, guitar, keyboards and vocals; Jenny Adejayan on cello and vocals; Lizzie Anstey on vocals and keyboards and Jenny Macro, Lucy Parnell and Anne Lise Frokedal on vocals. A lo-fi rehearsal video featuring Green Gartside, Stephen Irvine, Terry Edwards, Mark Bedford, Adejayan and Noble in a London pub on a Sunday performing "Be Still" from the new album is available for posting HERE. Hitchcock also celebrates his 60th birthday next March with a retrospective show on February 28th at the Village Underground in London where he will be playing songs from each of his albums, accompanied by some of his favorite British musicians. ave to adapt to it. Rock and Roll is an old man's game now, so I'm staying in it." 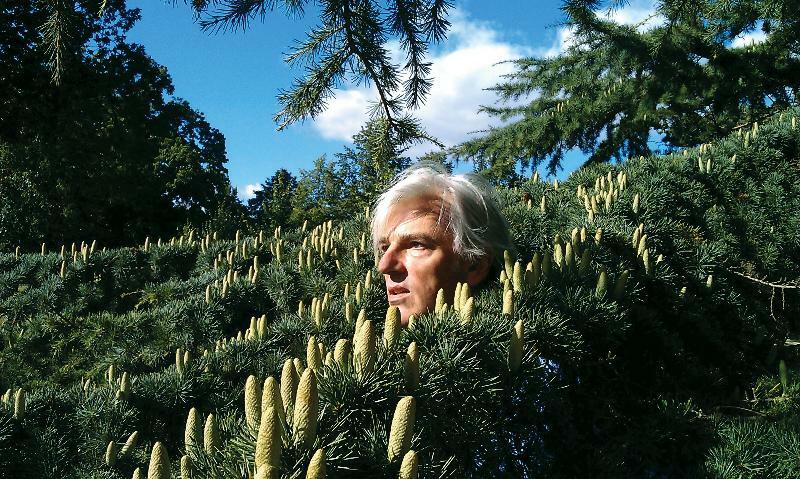 Born in London in 1953, Robyn Hitchcock has written and recorded over 500 songs, including: "Where Are The Prawns," "I Wanna Destroy You," "The Cheese Alarm," "Sometimes A Blonde," "No, I Don't Remember Guildford," "To Be Human," "Where Do You Go When You Die," "Uncorrected Personality Traits," "Full Moon in My Soul," "Chinese Bones," "Madonna Of The Wasps," and recently a lament for the Arctic polar thaw "There Goes The Ice," recorded with KT Tunstall, with whom he was on a Cape Farewell environmental expedition to Greenland in 2008. Since founding the art-rock band The Soft Boys in 1976, Hitchcock has played with many respected musicians including John Paul Jones, Gillian Welch & Dave Rawlings, Peter Buck, Nick Lowe, Abigail Washburn, Grant Lee Phillips, Martin & Eliza Carthy, Howe Gelb, Krystle Warren, Graham Coxon and Johnny Marr among others. In 1996 Jonathan Demme directed an in-concert film about him in New York called Storefront Hitchcock, and in 2003 cast him in his remake of The Manchurian Candidate and in 2007's Rachel Getting Married. On December 18, KISS will release their first ever iBook for their critically acclaimed, recent studio album release, MONSTER. The content of the iBook is comprised of a special edition digital book which includes an exclusive bonus video, “Shout It Out Loud (Live in Anaheim 1976),” interviews with all four members as well as a multitude of additional unpublished pictures and a preview for the blistering new music for DESTROYER: RESURRECTED and MONSTER. Happy Monday friends! I am still marveling over Peter Jackson's The Hobbit: An Unexpected Journey! Loved the movie. On a more holiday-minded note, here is the latest episode of our "4 Weeks of Christmas" series...I celebrate a choice recording from Aimee Mann while TJR celebrates a treasured track from Heart. Check out the new Music Worth Buying site where you can catch up on past episodes, and read George A. Paul's newly-published holiday music roundup too! I always enjoy watching Live From Daryl's House whenever possible. Here is the latest news on the show, definitely in tune with the holiday season. 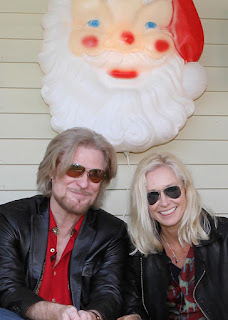 It's that time of the year, as Daryl Hall conquers his head cold to celebrate the season in a series of Christmas duets with Grammy winner Shelby Lynne on the 61st and latest edition of Live from Daryl's House, the critically acclaimed, award-winning web-to-cable series. For this special holiday episode, Daryl and Shelby join in a "delta blues-meets-Philly soul" throwdown, featuring a half-dozen performances-four songs from their respective Christmas albums, Daryl Hall and John Oates' 2006 release Home for Christmas and the singer-songwriter's 2010 set Merry Christmas, as well as a pair of Lynne originals. The show, now available via over-the-air syndication, will premiere on Viacom's high-definition music channel Palladia Dec. 13, then will be available on www.lfdh.com on Dec. 15. "She's a really interesting singer and songwriter," comments Daryl, who says he's wanted to have Lynne on the show for awhile. "And even though she came up in Nashville, I think she's a great soul singer. She means every word that comes out of her mouth." "I loved hanging out with Daryl and the guys in the band," enthuses Shelby. "Daryl is as amazing a person as he is a singer. I was honored to go to his place and make music. Daryl's Place will stay around a long time because it's all about the integrity of the artist and the music." Lynne first broke through at the age of 18, when her demos landed her an appearance on TNN's Nashville Now series. Her 1999 breakthrough, I Am Shelby Lynne, led to a Grammy for Best New Artist. She followed with critically acclaimed albums Love, Shelby (2001),Identity Crisis (2003) and Suit Yourself (2005). She made her acting debut playing Johnny Cash's mother in the Oscar-winning Fox Searchlight movie, Walk the Line. Just a Little Lovin', her tribute to Dusty Springfield, came out in 2008. In 2010, she founded her own label, EVERSO Records, a move that has given her the freedom to release music on her own timetable. Her EVERSO debut, Tears, Lies, And Alibis, dropped in 2010 and was followed by Merry Christmas (2010) and Revelation Road (2011). In November, she released a deluxe edition of the latter, which also includes her first-ever live album, recorded this past May at McCabe's Guitar Shop in Santa Monica, along with a Live in London DVD and a documentary on the making of the album. The two perform a pair of songs each from their Christmas albums, including the Shelby Lynne originals "Ain't Nothin' Like Christmas" and a bluesy "Xmas," the latter Daryl terming "one of the darkest Christmas songs ever written," with lyrics like "Holiday cocktails make me forget/The gifts that Daddy never opened." The set also includes the original title track to Hall and Oates' Home for Christmas, as well as a spirited cover of that album's Robbie Robertson-penned "Christmas Must Be Tonight." They also tackle Lynne's "Leavin'," a song from her I Am Shelby Lynne album, and "Bend," from Love, Shelby, the latter given a rousing Philly International soul treatment that proves Hall's assessment of the self-described southern girl's ability to sing R&B. To top off the performances, Daryl and Shelby join chefs Eric Gabrynowicz and Stephen Mancini, from local Armonk, NY-based Restaurant North, to cook up a roast goose dinner, including braised red cabbage, squash soup, pears and a watermelon grown in Hall's garden, with Shelby doing the honors stuffing the bird. The conversation was also lively, with Daryl admitting the trappings of the holiday season like "elves and homeless Santas," freak him out, while a discussion of musical authenticity draws this priceless Shelby Lynne observation; "There's no air-conditioning for the blues." The past six years have marked a steady stream of superlatives and recognition for Live from Daryl's House, with Hall receiving a Webby Award for Best Variety series from more than 10,000 entries at the 14th annual ceremony at N.Y.'s Cipriani Wall Street before garnering an O Music Award from MTV two years ago. Along with airing every Thursday night at 11 p.m. (ET/PT) on Viacom's high-definition music channel Palladia, Live from Daryl's House is syndicated nationally by Good Cop Bad Cop Productions. Executive producers for the show include Hall along with his manager Jonathan Wolfson. I'm thrilled to see that both Rush and Heart are finally getting into the Rock and Roll Hall of Fame. Here is the official release. The induction ceremony will be held in Los Angeles in April 2013...Damn, I wish I had HBO! Tickets to the 2013 Rock and Roll Hall of Fame Induction Ceremony go on sale to the public on Friday, January 25th. For more ticketing information, visit www.rockhall.com. Rock and Roll Hall of Fame and Museum Members will have the opportunity to purchase advance sale tickets to the Rock and Roll Hall of Fame 2013 Inductions. Memberships must be active as of January 1st, 2013. Some restrictions apply. Visit rockhall.com or reference the Rock Hall Membership e-newsletter for details. For the first time in its history, the Rock and Roll Hall of Fame offered fans the opportunity to officially participate in the induction selection process. The public was able to visit www.rockhall.com, www.hbo.com, www.CNN.com and www.rollingstone.com to cast votes for who they believe to be most deserving of induction into the Rock and Roll Hall of Fame. The top five artists, as selected by the public, comprised a “fans’ ballot” that was tallied along with the other ballots to choose the 2013 inductees. The Rolling Stones added to '12-12-12' line-up!